Headband Heaven or My Week of Headbands | Oh Sarah O ! To some, having short hair isn't as fun because you don't have as much versatility with your hairstyle; you can't put it in a ponytail and you can't pile your hair on top of your head. I've been rocking short hair for over a year now, and one way that I like to dress up and add fun to my hair is with headbands. 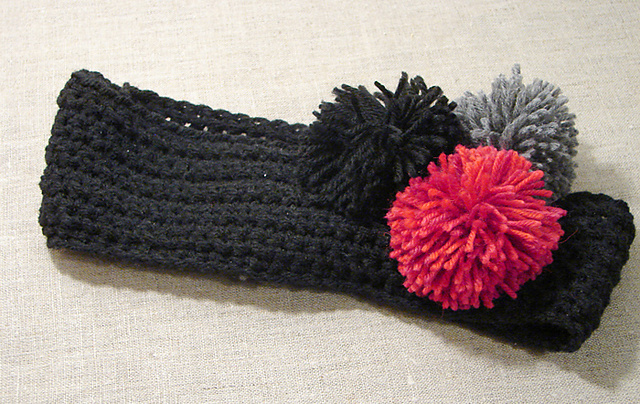 On January 4-8th, I decided to make a headband for everyday of the work week. 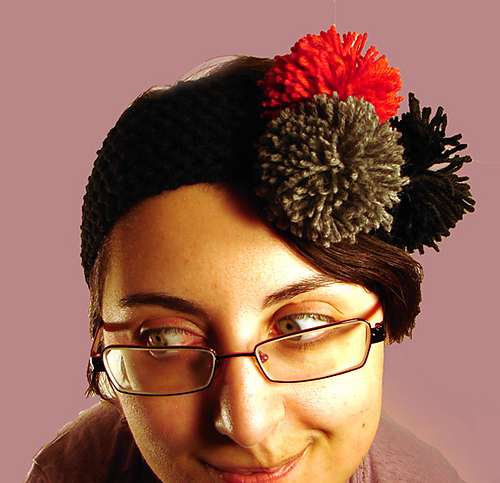 On Monday, I knitted and crocheted the Whitney headband (pattern can be found here). 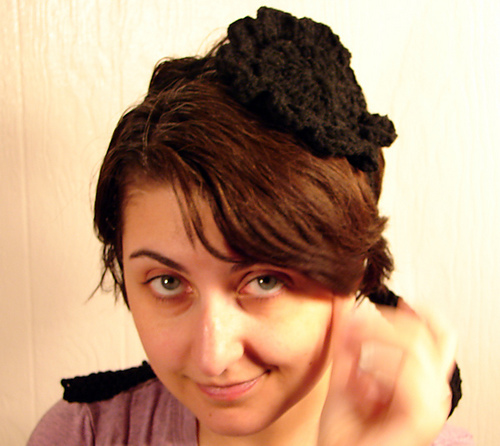 The pattern is named after the character, Whitney (below), who wore a similar headband on the TV show The City. I've never seen The City, but I am into fashion and a frequent online browser of the store Anthropologie that also makes a similar headband retailing for about $24. 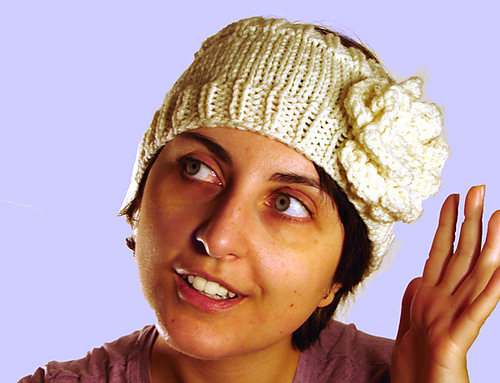 This headband with a flower is all crochet and ties behind my head (pattern found here). 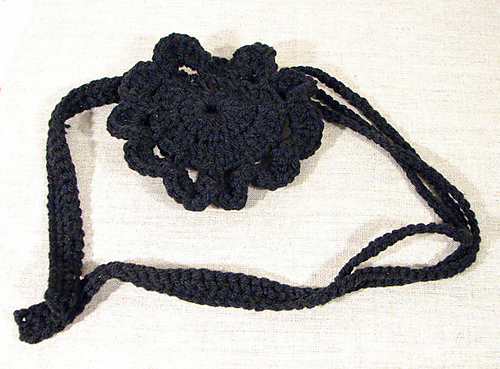 I struggled some trying to figure out how to crochet the tri-stranded headband, but once I figured it out it was a piece of cake. 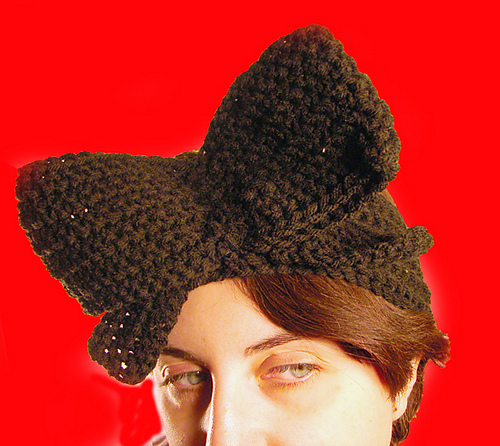 The Big Bow headband is all crochet using the tutorial from Threadbanger. 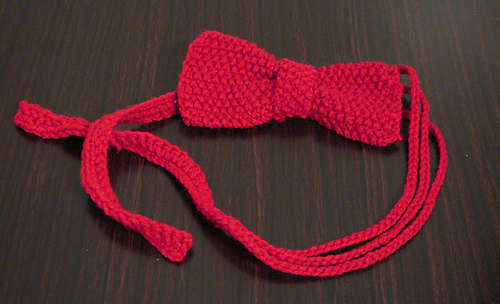 To end the week, I created this red moss stitch bow headband using the pattern found here. 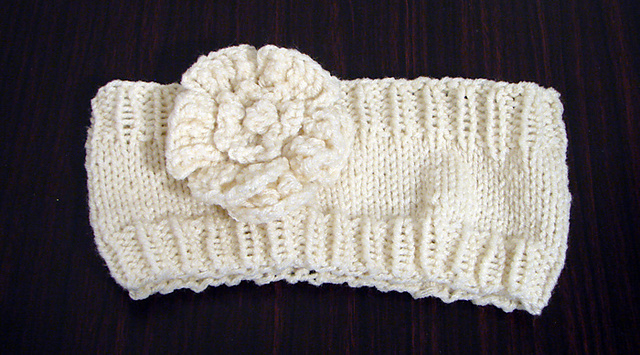 The headband base is crochet using the same pattern as the "headband with flower" from Tuesday, but the bow is knitted in 2 pieces using a moss or seed stitch.